A small pair of Wedgwood, dark blue jasper dip plates. Each plate is marked 'WEDGWOOD MADE IN ENGLAND' and they date from c.1920. There is also an impressed number '5' on each plate. The borders are decorated with six tiny classical reliefs which are divided by anthemion. 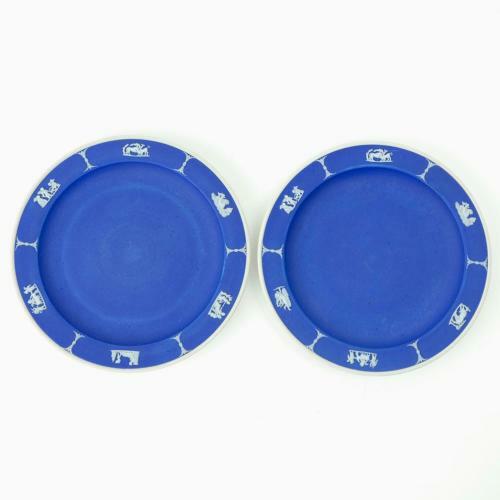 The jasper dip is a good, rich shade of blue and both plates are in excellent condition.